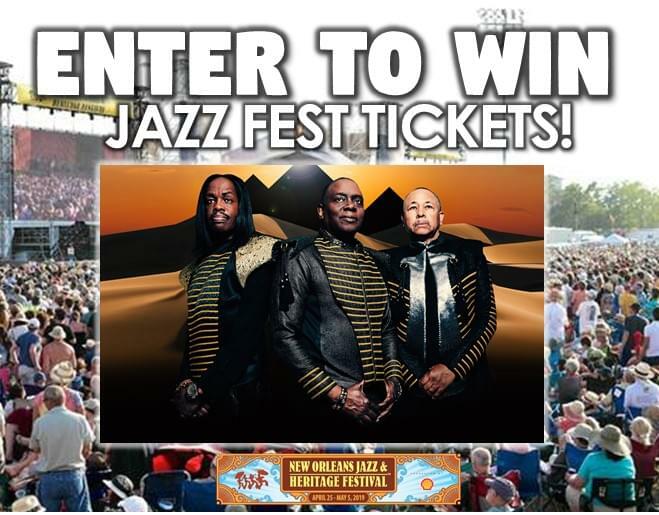 Enter here to win tickets to the 50th New Orleans Jazz & Heritage Festival on April 25- May 5 at the Fairgrounds Race Course & Slots featuring Earth Wind & Fire, Chaka Khan & many more! You can also win by texting FEST to 68255 (messaging and data rates may apply.) For more line up information, CLICK HERE.